Duncan Ryken Williams was born in Tokyo, Japan to a Japanese mother and British father. After growing up in Japan and England until age 17, he moved to the U.S. to attend college (Reed College) and graduate school (Harvard University, where he received a Ph.D. in Religion). Williams is currently Professor of Religion and East Asian Languages & Cultures and the Director of the USC Shinso Ito Center for Japanese Religions and Culture at the University of Southern California. Previously, he held the Shinjo Ito Distinguished Chair of Japanese Buddhism at UC Berkeley and served as the Director of Berkeley's Center for Japanese Studies for four years. He has also been ordained since 1993 as a Buddhist priest in the Soto Zen tradition and served as the Buddhist chaplain at Harvard University from 1994-96. 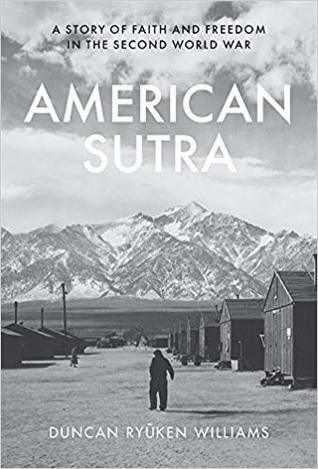 He is the author The Other Side of Zen: A Social History of Soto Zen Buddhism in Tokugawa Japan (Princeton University Press, 2005) and American Sutra: A Story of Faith and Freedom in the Second World War (Harvard University Press, 2019). He is also the editor/co-editor of seven volumes including Hapa Japan (Kaya Press, 2017), Issei Buddhism in the Americas (U-Illinois Press, 2010), American Buddhism (Routledge/Curzon Press, 1998), and Buddhism and Ecology (Harvard University Press, 1997). He has translated four books from Japanese into English including Putting Buddhism to Work: A New Theory of Economics and Business Management (Kodansha, 1997). He has previously received research grants from the American Academy of Religion, Andrew W. Mellon Foundation, the Lilly Endowment, the Japan Foundation, the Japan Society for the Promotion of Science, the Numata Foundation/Society for the Promotion of Buddhism.